Go after new sensations and discover the wealth of the submarine world. Easy, relaxing and safe, the scuba-diving is accessible to all. Go through the magical setting of Annecy lake. Activity monitored by professionals. 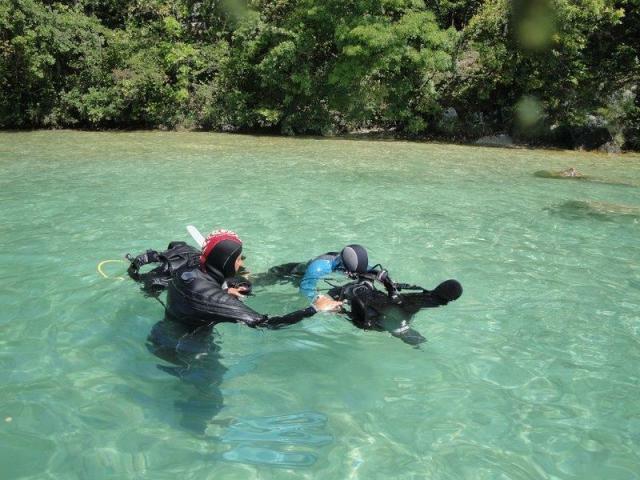 In natural environment, start from a boat or the lakeside for a first dive with all the equipment. 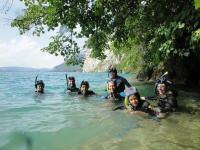 In small groups, with family or friends, go discovering a part of the coast of the Annecy Lake.